They get punished and their families get punished. They get punished for a crime before it’s proved. They lose their jobs, their children and their piece of mind. That’s Zindagi Live this week on IBN. 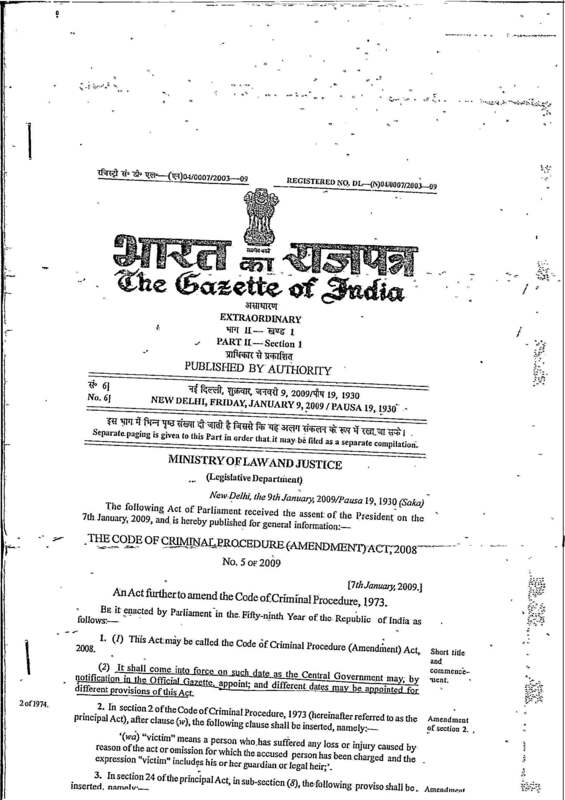 This judgment of Justice Dhingra led to the standing order from Delhi Police Commissioner YS Dadwal, prohibiting the arrests in 498A cases without the permission of the DCP (Jun/21/2008). New Delhi: Dismayed by the increasing misuse of anti-dowry laws, the Delhi high court has observed that failed marriages are ‘‘not a crime’’ and berated the tendency by women to see souring of matrimony as valid ground to get even with the husband and in-laws or to extract money. ‘‘A failed marriage is not a crime. However, provisions of section 498-A (cruelty by in-laws or husband) are being used to convert failed marriages into a crime and people are using this as a tool to extract as much monetary benefit as possible,’’ Justice S N Dhingra said on Thursday while acquitting the husband, in laws and ‘jethani’ of a woman who had alleged that they poured kerosene on her and set her on fire due to her inability to get dowry or secure an employment for her husband. ‘‘It must be acknowledged that marriages do fail and there is a mismatch not only in an arranged union but even in love marriages, which is discovered during the continuation of married life,’’ the judge remarked as it turned out that the harassment charge was slapped by the wife because she was unhappy with her husband’s unemployment and a life of penury. From this judgment, it is very clear that each time our families are threatened by the police with the old threat of “Pay up, or else…”, they are subjecting them to torture. Justice Dhingra in action again. This time he denies the appeal of convicted, corrupt CAW cell SI. This judgment more than reinforces my assertion that 498A and all this crap about protecting women is just a smokescreen to make money of the misery of citizens. Here is a judgment by Justice Markandeya Katju while he was serving as a judge of the Allahabad HC. The above provision clearly shows that it is not necessary to arrest in every case wherever a FIR of cognizable offence has been registered. No doubt investigation has to be made in every case where a cognizable offence is disclosed but in our opinion investigation does not necessarily include arrest. Often the investigation can be done without arresting a person, and this legal position becomes clear from section 157(1) of the Cr.P.C. because that provision states that the Police Officer has to investigate the case, and, if necessary, to take measures for the arrest of the offender. The use of words ‘ if necessary’ clearly indicates that the Police Officer does not have to arrest in every case wherever FIR has been lodged and this position has been clarified in Joginder Kumar’s case (supra). Here is the link to the article in the Hindu. This draws from Joginder Kumar Vs State of UP.